PSV Garuda Vega sets the template for an action thriller: Can Tollywood take the cue? Over the past few days, there’s been a lot of debate over whether Khichdi deserves to be the Indian national dish or not. Sure, you can debate all you want whether it worth the tag or not, but there’s a ‘khichdi’ of a different kind which is ubiquitous in the cultural space – Films. Barring a select few films, Indian films are the cinematic equivalent of ‘khichdi’. It isn’t the same if you don’t throw in a bunch of elements to provide a ‘wholesome’ experience. That, partly, explains why there are hardly any pure genre films. Films are almost always a combination of two or three genres – romantic drama, family drama, action comedy, horror comedy, romantic family drama, romantic thriller and so on. All this makes me wonder if there is a scope for pure genre films to flourish, and more particularly, whether there’s a chance for thrillers and action thrillers to become ‘viable’ enough for producers to take a leap of faith? In the Telugu film industry specifically, thrillers and action thrillers have been somewhat of a rarity over the years. In the past couple of decades we have had films like Aithe, Anukokunda Oka Roju, Drishyam, Anasuya, Mantra, Anukshanam, Killing Veerappan, 1-Nenokkadine, and Kshanam which dabbled with this genre. While some of the films like Aithe, Anukokunda Oka Roju, Drishyam and Kshanam were critically acclaimed, and few others were commercial hits too, the genre has been more or less treated with certain amount of skepticism. One of the reasons behind this is the notion that it might alienate a big chunk of the audience from having a ‘wholesome’ experience and thereby limiting its reach. This fear isn’t without a reason, and one often hears phrases like ‘B & C centres lo evvariki ivi ardham kaavu (People in B & C centres might not understand all this)’ used liberally by movie buffs on social media. Then, there’s the filmmaker’s decision on whether to break the tempo of a thriller for the sake of a song. Unanimous feedback on this front has revealed that taking the song away has derailed the film. On the contrary, a conscious decision to do away with songs is termed as ‘gutsy’. There’s also the debate on a ‘lag’ in storytelling — a slow-paced narrative is instantly crucified; a deviation from the narrative, even for a minute, is a sin; and if the core plot doesn’t do justice to the build-up, the film itself is brushed aside as a ‘good attempt’, which has become an euphemism for ‘good idea, but bad film’. There have, however, been few films in the recent past which have forced people to focus on the thriller genre with renewed interest. First, it was Adivi Sesh-Ravikanth Perepu’s Kshanam, a thriller which released in 2016, and the other, Praveen Sattaru-Rajasekhar’s PSV Garuda Vega, which is the talk of the town these days in Telugu cinema. Kshanam set the bar for what’s possible when a thriller is backed by a solid script, background score and editing. The cinematic experience of Kshanam was unlike any other Telugu film which released in 2016, and that the film was made with a fraction of the budget that most big budgeted films boast of made it an interesting case study in filmmaking. 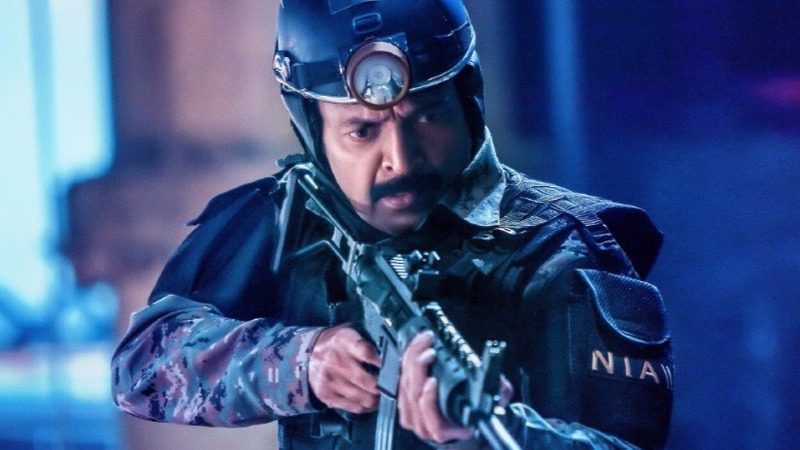 That the film, PSV Garuda Vega, featured Rajasekhar in lead role, whose last blockbuster film was way back in the 90s, didn’t make a difference to the story. It might have opened to not so encouraging numbers at the box-office on the first day of its release, but the word-of-mouth has been extremely positive. The film even earned reactions from various people that it has achieved a lot, in terms of engaging the audience, which its predecessors like Vivegam and Spyder couldn’t. Interestingly, there has been a debate over PSV Garuda Vega’s budget and its output. If this film, which was reportedly made with a budget of Rs 20-25 crores, could deliver a thrilling experience, then why can’t more filmmakers take a cue to make more such films? After all, it’s among the very few genres which keeps you on the edge-of-your-seat, and has the potential to spawn multiple franchises. Already, rumours are abuzz that there might be a sequel to PSV Garuda Vega, given the open-ended nature of the film’s ending scene. “I don’t have a script for a sequel yet. The advantage of doing a sequel for a film like this is that you don’t have to spend time establishing the characters. But it comes with its own set of challenges,” Praveen Sattaru said. The overwhelming reaction from the audience for PSV Garuda Vega is a clear sign that the genre has arrived, and it’s up to others from the industry to take up the baton. The genre, however, comes with its own set of challenges: A hero whose image shouldn’t be a hindrance to the genre; a writer who’s willing to walk the extra mile to stay focused and not necessarily play to the gallery; a director who respects the intelligence of the audience, and so on. Good thing is, PSV Garuda Vega has already set the template about how to do it the right away. Now, the question is, who’ll take up the challenge next?